Etiquette in Japan: don’t freak out! From groundbreaking technological innovation to stunning natural vistas to traditional Shinto shrines and Zen rock gardens, Japan has intrigued generations of visitors who come from near and far to experience the island-nation. While some aspects of Japanese culture have made dramatic and lasting breakthroughs into our global consciousness (think sushi, anime, video games, and movies), some things remain a mystery to those hailing from the west. And nothing can be more confusing than navigating Japan’s centuries-old tradition of social etiquette, which is both complicated and important. Women dressed in traditional attire greet one another with a bow. Probably the most iconic Japanese custom, bowing is also one of the easiest to be unsure about! This greeting takes a lot of different forms, but generally speaking, it is divided into three categories: informal, formal, and very formal. The formality of the bow is determined by the relationship between the two individuals that are greeting one another. Young people bow longer and deeper when greeting elders and employees do the same when greeting the CEO. As a foreigner, a bow of the head is probably all you need to do as most Japanese don’t expect visitors to know all the rules! What makes a cemetery special? Perhaps it’s the size, or the number of tombs? Or is it the age of the graveyard, or the famous people buried there? Are they architectural masterpieces in baroque style, or are they more whimsical? Find out for yourself below, as we celebrate Halloween with a list of ten of the most haunting and beautiful cemeteries from around the world! This one of a kind collection of burial sites located in the heart of Paris is known to be the most visited cemetery in the world. The Père Lachaise opened in 1804 and experts estimate that there are somewhere between 300,000 and 1,000,000 people buried on its grounds. Many celebrities are laid to rest among the grand tombs and mausoleums including Oscar Wild, Frédéric Chopin, George Seurat, and even the Doors’ Jim Morrison! Japan is a country of contrasts. While the society is 98.5% Japanese, it nonetheless encompasses a diversity of subcultures. 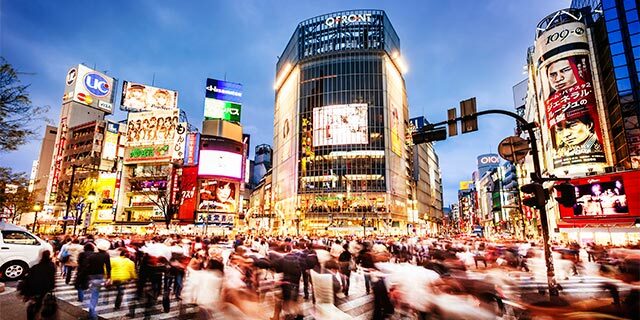 Japan is home to some of the most densely populated cities in the world, while the great majority of the landscapes remain rural. The culture is quite conservative in many regards, while simultaneously light-hearted in others. Japan’s contrasts and contradictions make it an ideal destination for those looking to have a truly unique travel experience. In many respects, Japanese society is the pinnacle of metropolitanism. From ancient temples to futuristic architecture, Japan offers amazing urban experiences for the curious traveler to behold. Kyoto: Japan’s ancient capital, a garden-laden dream boasting some of the country’s most beautiful temples and shrines. Tokyo: Japan’s modern capital, a neon-lit metropolis boasting the world’s tallest tower, the Tokyo Skytree. One of the biggest surprises about Japan may be how rural it is. Almost 75% of the land is covered by mountains and another 13% is devoted to agriculture. Just a short drive or train ride away from Tokyo, you’ll enter a completely different world, with lush mountains, large agricultural fields, and scenic coastal villages. The Arashiyama bamboo forest: a dense green jungle of towering bamboo trees. The Japanese Alps: a world-class skiing and hiking destination. The Tottori Sand Dunes: massive rippling sand dunes that will make you feel like you’re in a distant desert, not southern Japan. The islands of Okinawa: a tropical break with coral reefs, turquoise water and white sand beaches. Hot Springs (known as “onsen”): Created from water heated naturally under the ground. There are over 3,000 hot springs in Japan. 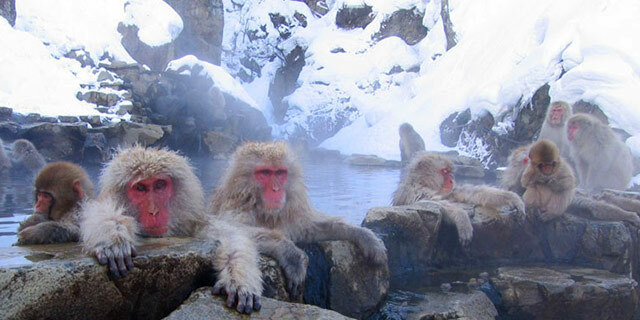 Animal lovers will especially appreciate Jigokudani Snow Monkey Park to see snow monkeys bathe in the steamy natural springs. From the snowy mountains to the tropical beaches, Japan claims a great diversity of habitats for a wide variety of wildlife species. Japan hosts approximately 130 species of mammals (including bears, foxes and wild cats) and 600 species of birds. The Macaque: a snow monkey that lives further north than any other primate (except for humans). The Wild Tanuki: a kind of racoon dog known for their mischievous nature. Statues of the Tanuki are often placed at temples to bring good luck. The Green Pheasant: a large black and green bird found only in Japan. The green pheasant and the red crowned crane unofficially compete for the title of “Japan’s National Bird”. 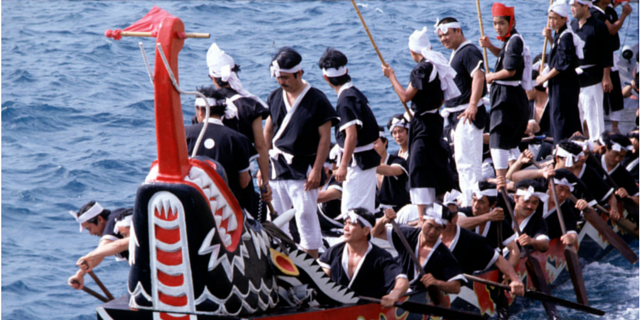 Many important traditions in Japanese culture have grown out of the Shinto and Buddhist religions. Shintoism and Buddhism exist side by side in Japan, and the practices of both faiths are deeply ingrained in Japanese culture. One way to learn about these traditions is to explore some of Japan’s (Buddhist) temples and (Shinto) shrines. There are over 100,000 temples and shrines across the country, and they differ wildly in size and design. Fushimi Inari Shrine in Kyoto: this Shinto shrine features 10,000 crimson torii gates donated by business owners and shopkeepers in a bid for financial success. 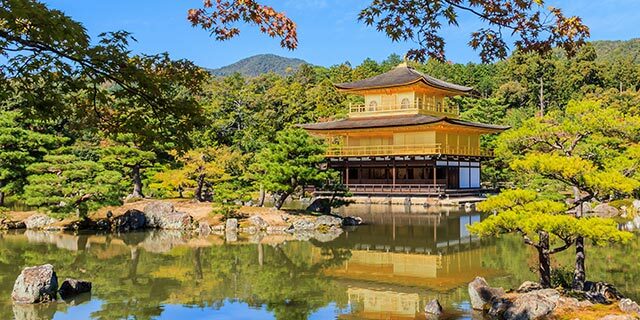 Kinkaku-ji -Temple of the Golden Pavilion in Kyoto: this Buddhist temple features the top two floors covered with pure gold leaf. Thousands of festivals are held each year across the country celebrating seasonal changes, the natural world, and the annual harvest. Wherever you are and whenever you go, you’re likely to find a festival happening nearby. Rice Crop Art Festival in Inakadate Village: locals use different colored varieties of grain to skillfully depict giant images using rice paddies as their canvas. Saporro Snow Festival: at the core of the festival is hundreds of sculptures made from snow and ice. Miyako Odori in Kyoto: this geisha dancing festival translates literally as “Capital City Dances” as Kyoto used to be the capital. 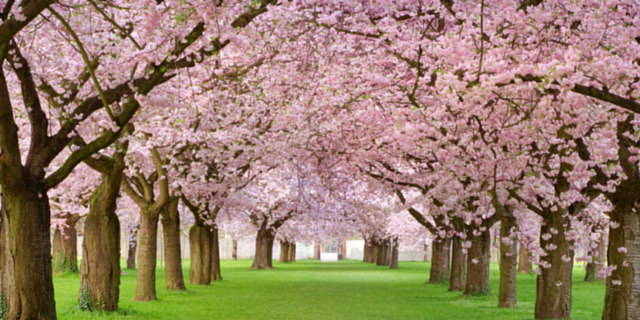 In English, the dances are often referred to as “The Cherry Blossom Dances”, because they take place in April when the cherry blossoms are in bloom. While Japan may seem like a serious culture, they also have a soft spot for “cute”. Kawaii is the word for a Japanese artistic and pop culture style that emphasizes all things “cute” using bright colors and animated mascots. Anime is a Japanese style of film, TV, and video game animation. There are some magical anime films out there that are so creative that they impress even the serious adult (such as Howl’s Moving Castle and Spirited Away). Across the country, animated mascots adorn everything from food products to local monuments and even government agencies. 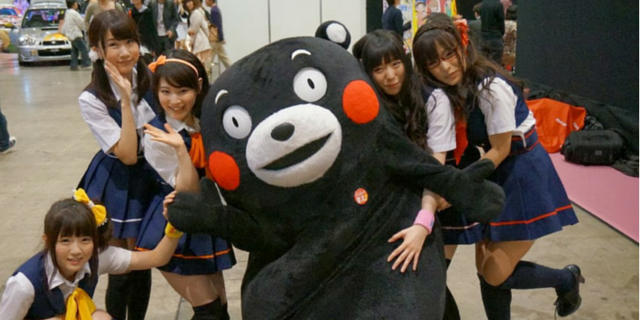 One of the most famous mascots is Kumamon, a cheeky black bear who symbolizes a bullet train line in the city of Kumamoto. 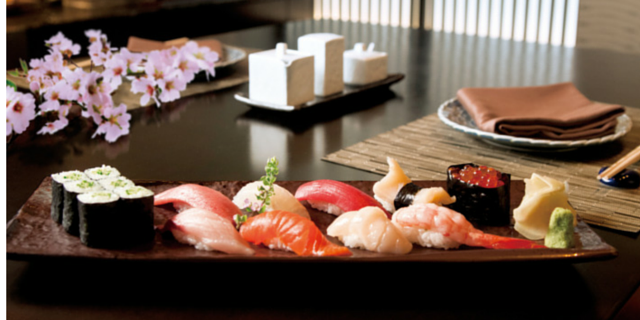 Japanese cuisine (known as washoku) is so special that it’s been added to UNESCO’s Intangible Cultural Heritage List, and it’s so diverse that it deserves its own blog post. The country offers a wealth of culinary experiences from the finest high-end restaurants to rustic food stalls, bustling seafood markets, and creative local sweets. Soup lovers will want to check out the Shinyokohama Raumen (Ramen) Museum. For more than 50 years, Japan’s impressive network of high-speed moving bullet trains (called shinkansen) has zipped travelers and commuters from one corner of the country to the other. The network is incredibly well-functioning, with no accidents involving the bullet train network, even though trains operate at speeds of over 200 miles per hour. The trains are also known for being on time, rarely having delays of more than 50 seconds per train. All travelers to Japan should take advantage of this rail system at least once. 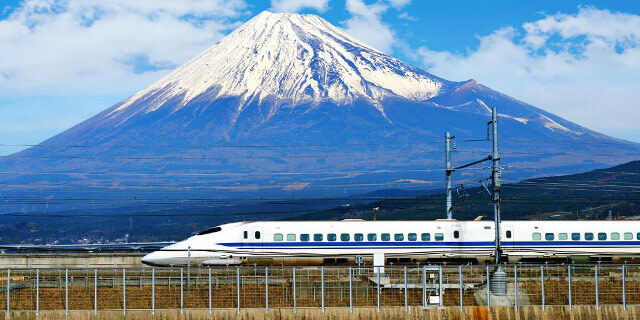 The Japan Rail Pass makes this an affordable option to quickly get around the country. The Japanese may seem reserved at first, but soon you’ll find them to be kind, considerate and warm, even to those they don’t know. They are hard-working, meticulous, proud of their cultural history, and always eager to help. In fact, the more you learn about Japanese customs (start with a friendly, respectful bow), the more quickly you’ll be welcomed into this amazing culture. 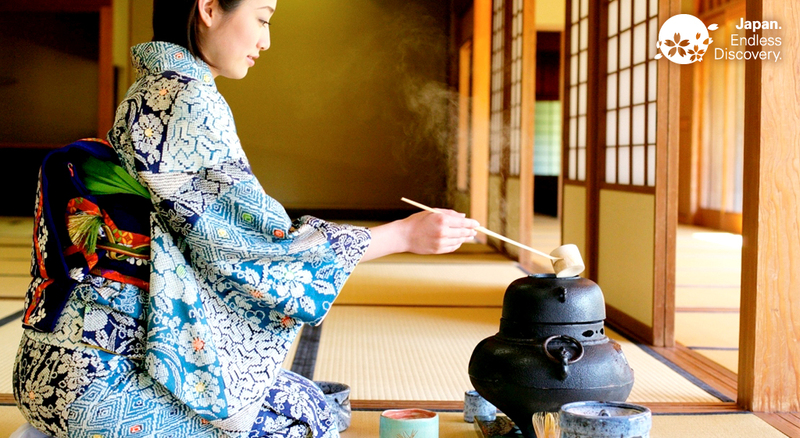 For a traditional take on Japanese hospitality, stay at a Ryokan (inn). Dating back to the 1600’s, a typical ryokan is constructed using traditional Japanese methods, has a communal entrance hall where guests and owners can sit and talk, and most also feature a communal bathing area using water from hot springs. Japan is a country of contrasts. 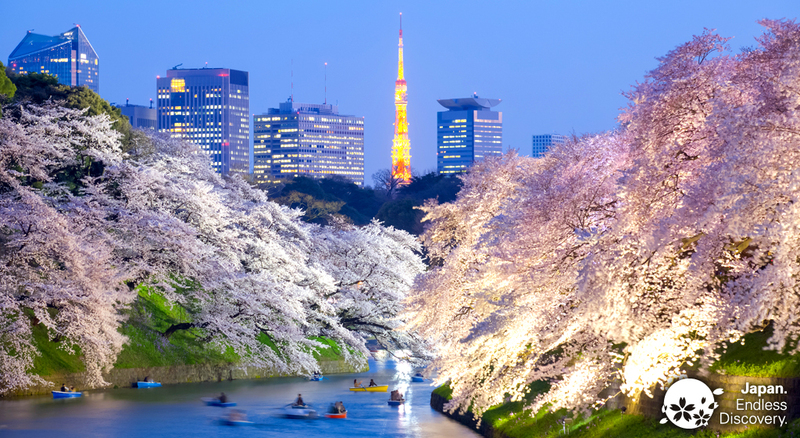 From ancient culture to modern innovations, from the cities to the natural lands, and from serious cuisine to cuteness and hospitality, a visit to Japan will almost certainly be an experience of a lifetime.